Cape Town: Indian captain Virat Kohli refused to bask in his team’s success in South Africa as he received the International Cricket Council Test championship mace for the second year running. Somewhat incongruously, the mace was presented to Kohli on Saturday at the end of a triumphant limited overs campaign. India won the one-day international series 5-1 and Twenty20 series 2-1. Perhaps it was a reminder to Kohli that second-ranked South Africa had won a Test series at the start of the tour. "I’d say we are still 80 percent," Kohli said of the Test team as he looked forward to major challenges in coming tours of England and Australia later this year. "When we are able to achieve what we want to in the two tours, we’ll be more content. But our 80 percent is also exciting. To be a world-class side, you have to be 100 percent." Although the cut-off date for the ICC rankings only comes in April, India cannot be overtaken. Apart from the mace and the glory India will collect a million dollars in prize money. Kohli will leave South Africa on Sunday having dazzled with his batting artistry and his no-holds-barred captaincy style. 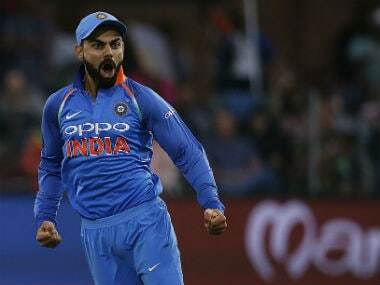 It is doubtful whether any visiting captain in modern times has made a greater impact than Kohli, who stated on arrival that his India team feared no opposition nor any conditions. "We look at the pitch and adapt to the conditions," he said. "Every game is a home game. It’s as simple as that." His early press conference set the tone for the tour. Articulate, occasionally combative with journalists who challenged, for instance, his selection policies, Kohli stayed true to his mantra of playing positive cricket and not taking a backward step. He did not complain about the seam-friendly Test pitches prepared for South Africa’s fast bowlers, even though ICC match referee Chris Broad rated the pitches for the first two Tests "average" and his successor Andy Pycroft condemned the pitch used for the third Test at the Wanderers as "poor". Kohli’s response was that sub-standard pitches helped his bowlers as much as they helped the South Africans. Although India lost the first two Tests, they were competitive in both and made the best of the worst conditions by winning the third Test. Then they outclassed South Africa in the white ball games. Kohli was the leading run-scorer for either side in both the Tests and one-day games. He showed resolve, sound technique and courage in difficult conditions in the Tests, scoring 286 runs, including the only century of the series, at an average of 47.66. 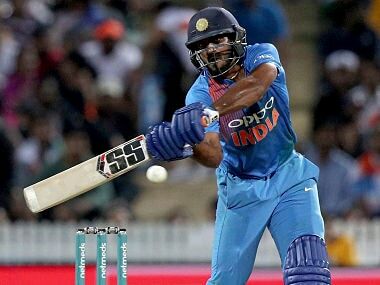 He exploded on more batsmen-friendly pitches in the one-dayers, striking a world-record bilateral series total of 558 runs at a staggering average of 186.00, scoring at a fraction under a run a ball. His teammates responded to Kohli’s example. The bowlers, in particular, were outstanding. Given his chance in the Tests, Jasprit Bumrah showed he was much more than a good one-day bowler, while Mohammed Shami, Ishant Sharma and Bhuvneshwar Kumar all troubled the South African batsmen. In the one-day games, India’s bold gambit of picking two wrist spinners in Kuldeep Yadav and Yuzvendra Chahal proved a master stroke. Kohli’s form obscured flaws in the rest of the Indian batting. None of the other specialist batsmen averaged 30 in the Tests but Shikhar Dhawan shone in the one-day matches. Rohit Sharma managed a single impressive innings, a century in the fifth one-day international after Kohli was out for 36, his lowest score of the series. Although Kohli bristled at the suggestion that India did not select their best possible side for the first two Tests, Ajinkya Rahane’s batting in the third Test suggested he should have played earlier, while Kumar’s omission for the second Test was baffling. Kohli and several other senior players have been rested for a triangular T20 series starting in Sri Lanka on 6 March. The lucrative interlude of the Indian Premier League starts in April. Kohli has shown that ambition is a stronger driving force than money – and he expects his teammates to follow his example.